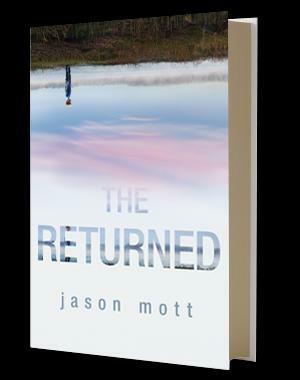 The Returned by Jason Mott (broadcast 12-9-2013) From the first riveting page of his extraordinary debut novel award winning poet Jason Mott gives the reader both a haunting exploration of a world where nothing—not even death—is certain, as well as a moving tale of a family given a second chance at life. In The Returned, people’s loved ones are returning from beyond. No one knows how or why this is happening, whether it’s a miracle or a sign of the end. Filled with characters whose stories will stay with you and make you wonder about your own realities, Jason Mott examines the timeless issues of faith, morality, family and love in a way that opens doors and keeps you reading. Find out more at Jason Mott, author. This entry was posted in Uncategorized and tagged Jason Mott, life and death, return of the dead, returning from beyond, The Returned. Bookmark the permalink.